Mary ( sister in law of Mrs Towers) decided to have a little dinner party for her birthday. 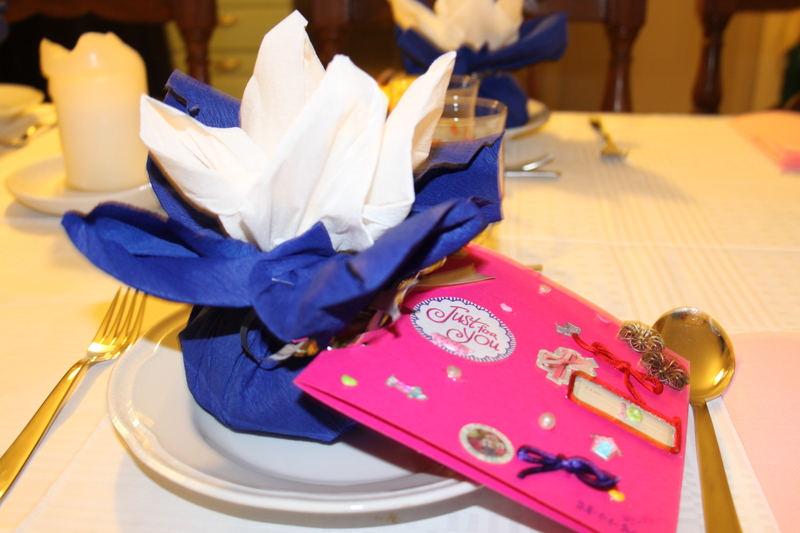 She delighted us with handmade biscuits wrapped in blue and white crepe paper and hand-made thank you notes that we weren’t supposed to open until everyone was present. Unfortunately the start of an epic snowfall (which ended about a week later) meant that some of the other guests were about 40 mins late. Mrs Tower’s couldn’t possibly resist that long and opened her ornamental card to find a burlesque style sleeping beauty her favourite! 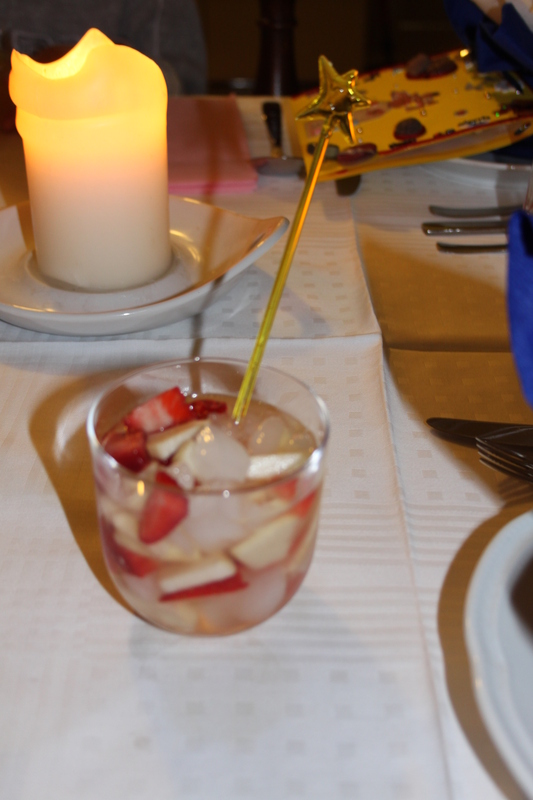 We started off with white martini and soda and fruit. Pastry rolls filled with Philadelphia cheese or pesto with prawns or salmon were our antipasto. This is an idea that comes from Benedetta Parodi apparently . Mr Towers then made risotto with porcini and sausage. Sausage had to be in the risotto as children were present and they apparently only eat things that resemble junk food. 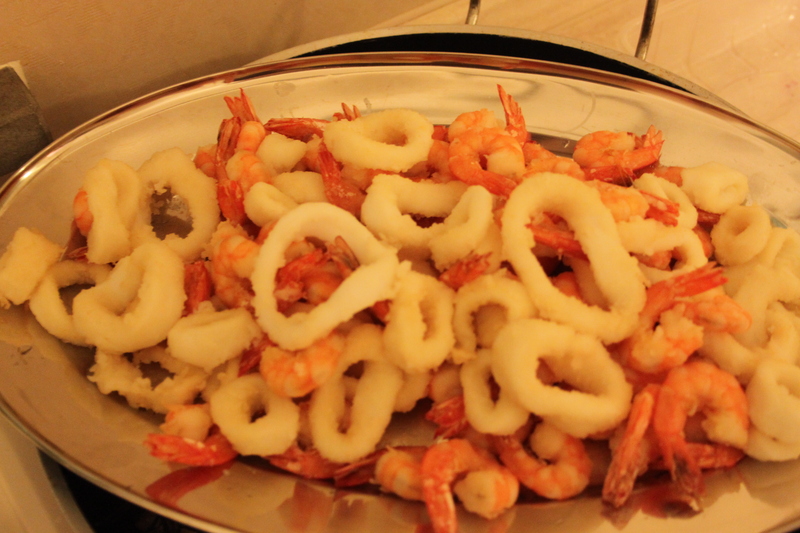 More interestingly the fritto misto di pesce (picture below) is not fritto at all. You just sprinkle it with breadcrumbs and the put it in the oven a much lighter alternative to a seriously delicious dish. 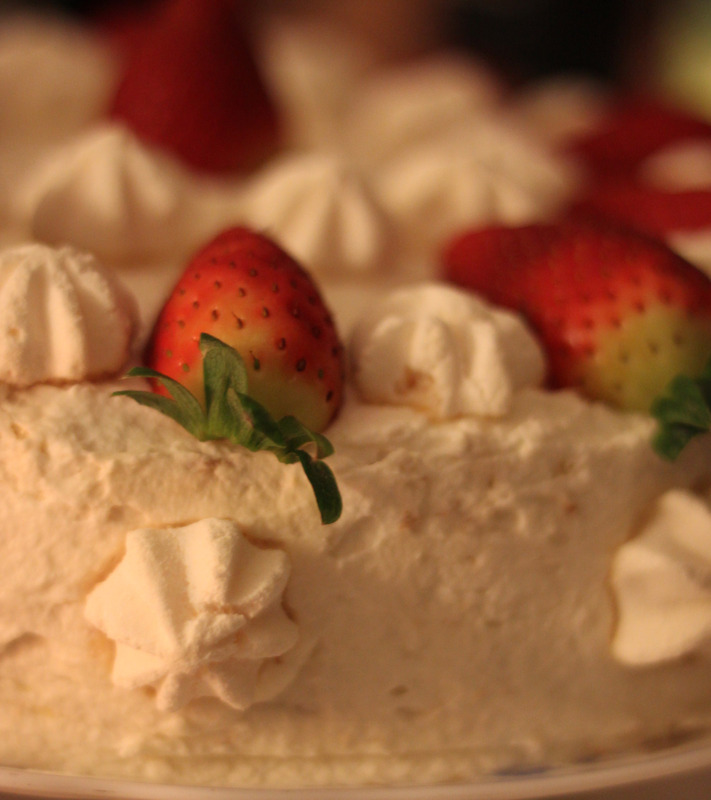 Finally Mary’s piece de resistance was the creamy cake below composed of many layers of sponge and cream and covered with fresh strawberries and meringues. Right at the start of the famous ‘Budello’, one of the longest and most interesting shopping streets in the Liguria coast, are a series of shaded restaurants. Although they may look like tourist traps, and no doubt some of them are (I’m thinking of one with pictures of Venice although Liguria is the exact opposite coast…) one place is a real little gem and that is Danio hotel and restaurant. Not only are the staff really nice but the owner takes an interest in socialising with the customers (in a non-obtrusive way) and ensuring that they have enjoyed their food. Another point in their favour is that they do not point on quantity but on quality meaning that their 20 euro lunch menu with a choice of first and second course with a side salad and a pudding can be enjoyed without feeling bloated as you leave the table. We can recommend the spaghetti alle vongole (clams spaghetti) a personal favourite that is sometimes served too oily but here was delicious (although I would have added a bit more parsley) and the fritto misto (lightly battered fried shell fish with a dash of lemon) which must be accompanied by a fresh salad to truly refresh the palate. Would we go back? 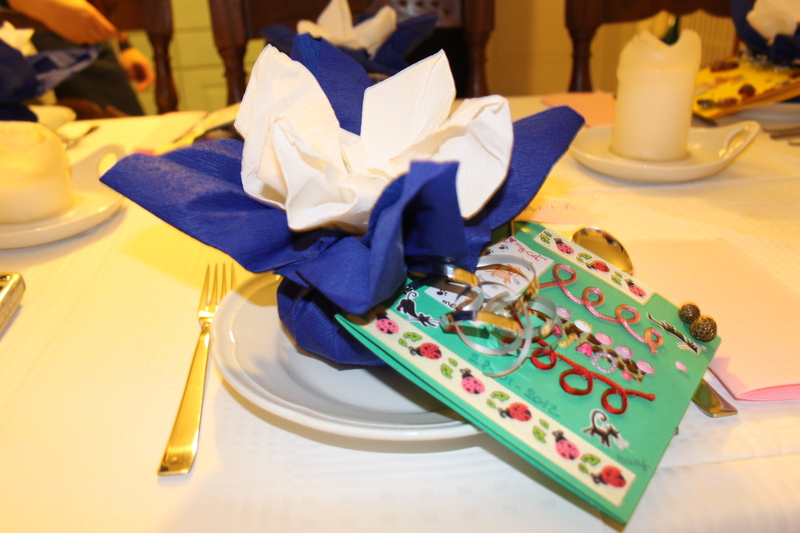 next year- stessa spiaggia stesso mare, stesso ristorante too!